Acte amb motiu de l’aniversari de la mort de Walter Benjamin (26 de setembre de 1940). Participants a la taula rodona: Ramon Alcoberro, ponent de la secció de Filosofia; David Mauas, director del documental, Alfred Sargatal, ponent de la secció de Llengua i Literatura i Francesc Solà, ponent de la secció de Cinema. Acte organitzat conjuntament amb les seccions de Filosofia i Llengua i literatura. Walter Benjamin, The Correspondence of Walter Benjamin, 1910-1940. Walter Benjamin, Zur Kritik der Gewalt und andere Aufsätze..
Walter Benjamin, The Work of Art in the Age of Mechanical Reproduction. Walter Bendix Schoenflies Benjamin was the eldest of three children in a prosperous, assimilated German-Jewish family. He attended a progressive co-educational boarding school in Haubinda, Thuringia and the universities of Freiburg, Berlin, and Bern. He was actively involved in a growing youth movement inspired by Gustav Wyneken. In 1914, however, Benjamin withdrew from the movement in response to a public lecture in which Wyneken praised the ethical effect of war on youth. Benjamin's celebrated 1924 essay on Goethe's novella, The Elective Affinities, put into practice his theories of art criticism developed in his doctoral dissertation. His first (and only) full-length book, The Origins of German Tragic Drama, was published in 1928 and quickly received favourable attention from leading critics in Germany and abroad. Benjamin made plans for publishing a left-wing periodical to be entitled Crisis and Critique, in collaboration with, among others, his friend Bertolt Brecht, while ekeing out a living as a translator and freelance writer. In 1933, he left Nazi Germany, following Brecht and many other Jewish friends into an exile he divided between Paris, Ibiza, San Remo and Brecht's house in Denmark. With the outbreak of World War II in 1939, Benjamin was temporarily interned in French concentration camps for German citizens. On his release, he returned to Paris and continued his work in the Bibliothèque Nationale before being forced to flee before the invading German army in the summer of 1940. Lacking the necessary exit visa from France, he joined a guided party that crossed the Pyrenees and tried to enter Spain illegally, but was turned back by customs officials. In despair, he commited suicide in the small Spanish border town of Portbou. Walter Benjamin is currently considered a "single author." If one or more works are by a distinct, homonymous authors, go ahead and split the author. 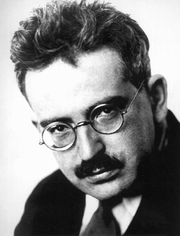 Walter Benjamin is composed of 14 names. You can examine and separate out names.